HTC Edge equipped with Penta-Core processor? A very common feature in new mobile phones during 2011 was dual-core processors, and this was most visible among new Android devices. Much like the “megapixel wars” from years in the past, a dual-core processor became a must have for a lot of users, and many times it seemed like users ignored if the system could utilize it or not. In heated discussions some even compared one brand with another and judging them, and sometimes ruling them out based on if they had a phone with a dual-core or not. The tech world moves fast, and dual-core processors might already be old news. Early talks in 2012 indicated that further discussions for the year would be all about quad-core processors, with a lot of rumors of new devices mentioned both before and after CES. It now seems HTC is bringing one more core to the party, flexing it’s muscles with a penta-core processor. Rumors have surfaced saying that the upcoming HTC Edge might be equipped with a Nvidia Tegra 3 chipset, running a penta-core processor. If this is true it would make it the most powerful, and possible the most popular smartphone among all, at least for a while. There are four major cores clocking at 1.5 GHz, and in addition a fifth core, a spare core. The clock frequency of this spare core is only 500 MHz and it will helps to reduce general power consumption of the device. The HTC Edge has a 4.7 inch big touchscreen, 1 GB of RAM, 32 GB of internal memory, Bluetooth 4.0. It also have an 8.0 Megapixel rear camera that is able to record Full HD videos at 1080p, and a front facing camera for voice call. 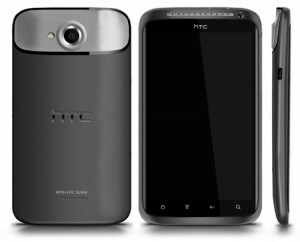 It seems all other specifications of HTC Edge remains same as latest version, except for eventual penta-core processor. For Enjoying this HTC Edge with Penta-Core Processor you have to wait until probably March – April of 2012. No price or and plans are yet released.